Now More Than 400 Brands Strong! 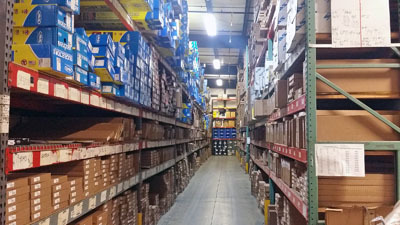 Since inception in 2012, more than 400 product brands representing more than four million parts have joined what is now the industry’s largest automotive specialty parts product data repository, the SEMA Data Co-op (SDC). Designed to enable any company, no matter how small or large, to effectively manage and distribute its product data at the lowest possible cost, the SDC’s expert staff is at the ready to turn your company into a lean, mean, data-management machine! Read more about Now More Than 400 Brands Strong! Information is the key to sales. Automotive parts resellers—distributors, retailers and e-commerce dealers—need accurate information about product attributes such as weights and measures, descriptions, current pricing, UPC codes and more in order to power their lookup tools and point-of-sale systems. The SEMA Data Co-op (SDC) was created as a product-data repository to supply that information and more to the automotive specialty parts marketplace. Read more about Confused About Product Data Management? Budget Time Approaching? Plan Your Data Management Strategy Now! As 2015 rapidly comes to a close, most of us are busy preparing for the SEMA Show and getting next year’s budgets in order. If you are not yet working with the SEMA Data Co-op (SDC) to take total management control and ownership of your product data, now is a perfect time to plan for engagement in 2016, just in time for the spring selling season. And remember, the SDC doesn’t charge any initial onboarding or setup fees. In fact, you don’t pay anything until your data is ready to distribute, so you can start the process today and not affect your calendar 2015 budget. Read more about Budget Time Approaching? Plan Your Data Management Strategy Now!